As part of the “Mondays of the Press”, a special conference was held at 6 days of the event around a set of arrangements made for the smooth running of the National Carnival in Port-au-Prince (11 to 13 February 2018). This special conference brought together Marie Greta Roy Clément, the Minister of Public Health, Max Rudolph Saint-Albin, the Minister of the Interior, Léon Ronsard Saint-Cyr, the Secretary of State for Public Security, the Departmental Delegate of the West, Pierre Richard Duplan, the West Departmental Director of the Haitian National Police, Commissioner Berson Soljour and the Director of the Vehicle Traffic Department, Commissioner Carmel Florent. A National Emergency Relief Committee whose mission is to reduce the risk of accidents, transmission of diseases and raise awareness of the behavioral change during the carnival was established under the high patronage of the office of the First Lady, Mrs. Martine Moïse. 13 care stations: single stations, emergency care posts and Advanced Medical Post (PMA) will be set up to respond to incidents. PMAs aim to take care of major cases. Cases beyond the competence of the PMAs will be transferred to the reference hospitals, including the Hospital of the State University of Haiti (HUEH), the University Peace Hospital in Delmas 33, the OFATMA and the Bernard Mevs Hospital. A PMA will be established on the stand of the First Lady and a special space will be dedicated to the reception of all the lost children on the course. While urging the population to adopt certain sanitary measures during the carnival, Minister Clément joins with Martine Moïse to invite Carnavaliers to enjoy this period in prudence, mutual aid and solidarity. In terms of security, a Command Center has been set up and will be coordinated by the Minister of the Interior St Albin who will act in concert with the Office of the Secretary of State for Public Security, the PNH, the Ministry of the Justice and the Directorate of Civil Protection (DPC). The latter will be responsible for inspecting the compliance and safety of tanks and stands during the three fat days. 500 volunteer brigadiers will be deployed all along the route to accompany carnivals. 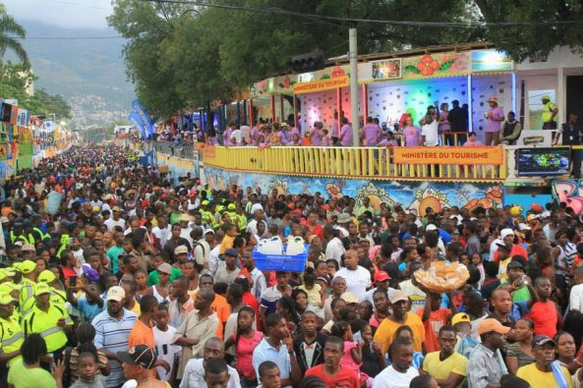 “It was decided that the national carnival will end at 2:00 am on the first two days and at 3:00 am on the third and last day,” said Léon Ronsard Saint-Cyr, while calling on the population not to block the emergency issues to facilitate evacuation in case of emergency. 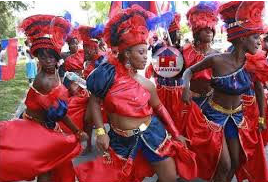 Moreover “The Departmental Directorate of West of the PNH intends to enforce with the utmost rigor all the security arrangements made for the smooth running of the national carnival,” said Commissioner Soljour who insisted on the strict prohibition of carrying weapons, use of glass bottles, movement of wheelbarrows and knives on the course of the National Carnival.